BATAAN PHILIPPINES | Aside from the historical places you will find in the Province of Bataan, this province is also rich in culinary delights that are only found here! During our recent trip in Bataan where we attended the 7th Araw ng Kagitingan, they took us to the most recommended places to eat around Bataan. Aside from all being delicious, they were also very affordable. If you are looking for a great place to eat lunch, head to Pilar! This restaurant is one of the most visited restaurants in the area. If you love home cooked meals then this is the place to go. Right after attending the Araw ng Kagitingan at Mt. Samat, this was the place where they took us for lunch. When we arrived, it was so evident that this place is always busy and popular not just frequented by the tourists but also patronized by the locals. The restaurant also has wi-fi connection and, thank goodness, this place is fully air-conditioned so the diners could eat and enjoy their food in comfort. 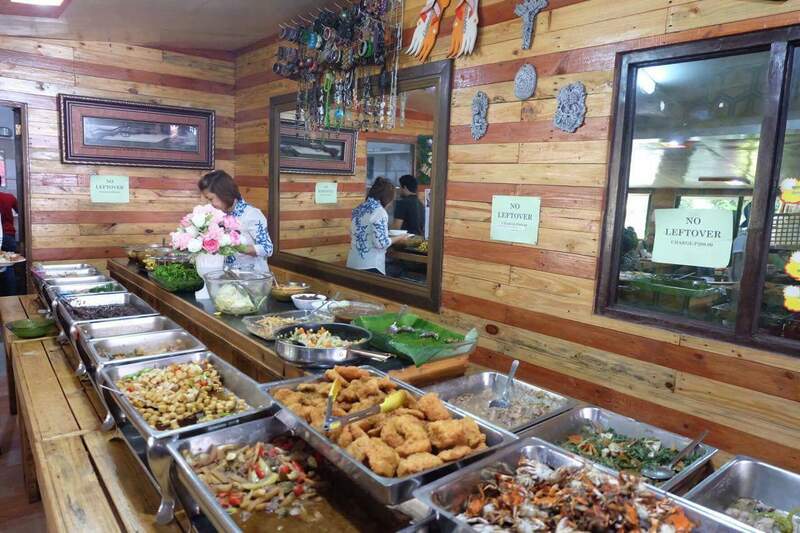 Aside from serving native Filipino dishes, Ima Flora’s Pamangan also serves your favorite Kapamnganan dishes which they are known for and that you would surely love. Aside from the delicious food being served here, one factor that encourages people to come here is the affordability of their food. For the buffet price of Php 200.00, you can enjoy the different local and Kapampangan food which will make you come back for more. Ima Flora’s Pamangan is also the right place if you are looking for pasalubong or treats to take back home with you. At the end of our feast, we also had the privilege to meet the owner of the restaurant, Mam Ima (the one in black) herself during our time of visit. It was a fun start to the afternoon, especially after that satisfying buffet lunch we had at Ima Flora’s Pamangan. You think only Baguio has Choco Late De Batirol? Well, Bataan has one! Also located in Pilar and basically right across from Ima Flora’s Pamangan restaurant. If you are craving for a real chocolate drink made from local home grown cacao beans then you have to visit this place. They also have local produce for sale in the restaurant. As mentioned earlier, this famous chocolate drink is made from 100% local home grown cacao beans. After drying the beans, they turn them into a chocolate powder. While waiting for our chocolate drink, I watched the guy who was preparing it. First they boiled the cocoa powder for a long time and put the chocolate into this metallic pitcher and then stir the chocolate using this wooden tool which is commonly called a BATIROL. It was thick, it was pure, it was flavorful, and it was one of the best chocolate drinks I’ve had for such a long time. It is also best to match your drink with local sweet delicacies available at the Choco Late De Batirol. Oh! The cafe also serves cold chocolate drinks only if you prefer something similar to frappe. I also heard that this cafe is going to change it’s name but remain at the same location. So if you are in Bataan and craving for a real chocolate drink, Choco Late de Batirol in Pilar is No. 1 on my list! On our last evening in Bataan, they took us to one of the coolest and hippest place in Bataan and that is The Food Project. After witnessing the Grand Fireworks Show, we all felt a craving for good food again and so they took us to The Food Project. I like how open the place is and the ambiance was quite good. I also admired the little touches and decor hanging on the walls. It really is a cool place and it is trying to make a statement to the people why you should come and dine here. Of course, their food is something that you must try! Again when I say affordable, literally it was very affordable! 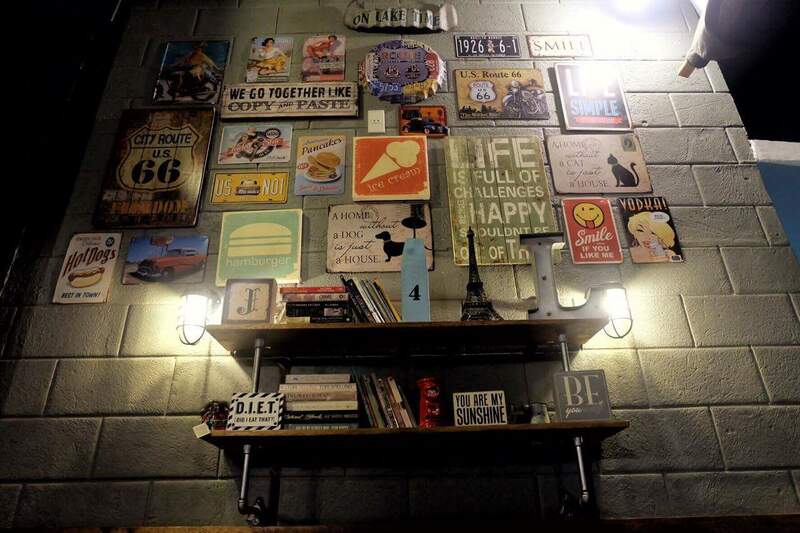 At The Food Project you can enjoy a fusion of different cuisines for the price of less than a Php 100.00. Because I was so overwhelmed, I had to their their best seller which is the BABY BACK RIBS! Yipeee! While waiting for my ribs, we ordered some Nachos for starters. They were delicious and the servings was very generous. In only a few seconds…Nachos gone! Yum! Another must try is the Salisbury Steak! And finally, my baby back ribs arrived and I am telling you, it was one of the best ribs I’ve tasted. It is well seasoned, it was so tender and the meat just fell off the bones. The sauce was flavorful too. It was divine! A better way to finish your dinner is by ordering this Chips Ahoy ice cream sandwich as your dessert. After an amazing night at The Food Project, the owners showed up to say hello and I couldn’t stop myself from commending them for their delicious food and the great service we had experienced in their restaurant. They may not be the only affordable places to eat in Bataan, but I can assure you, they have one of the best selection of meals in Bataan! Aside from the beautiful scenery, beaches and rich historical background of the province of Bataan, food tripping is something you must also try and explore in this province. I would personally like to thank Bataan Tourism for showing us these amazing places. I also learned from this visit that you can enjoy good food and it doesn’t need to be that expensive. You just have to come to Bataan and try the variety for yourself! These all look good. I love batirol so I should give that a first go.